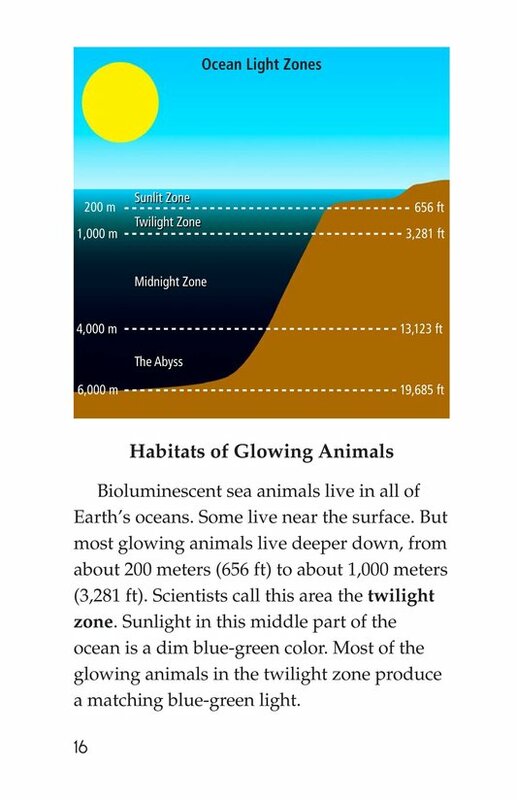 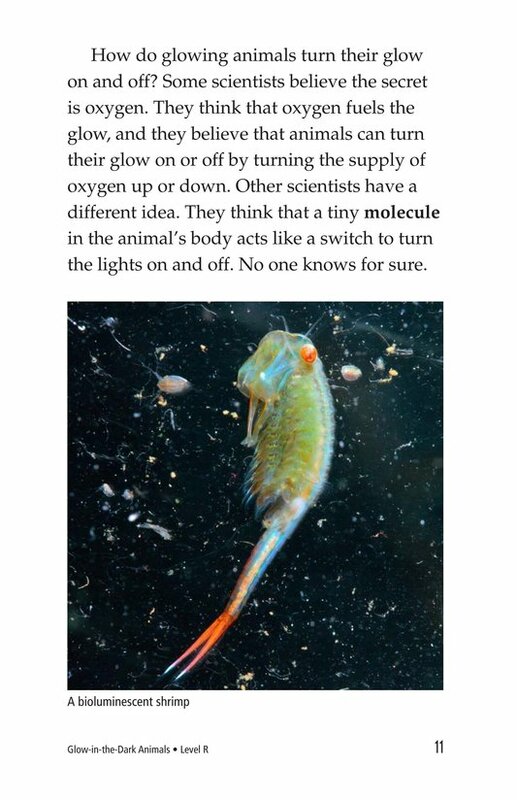 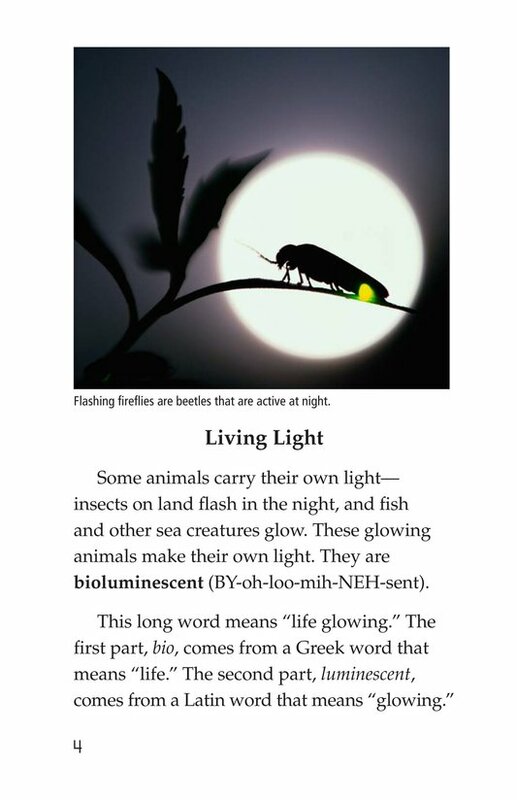 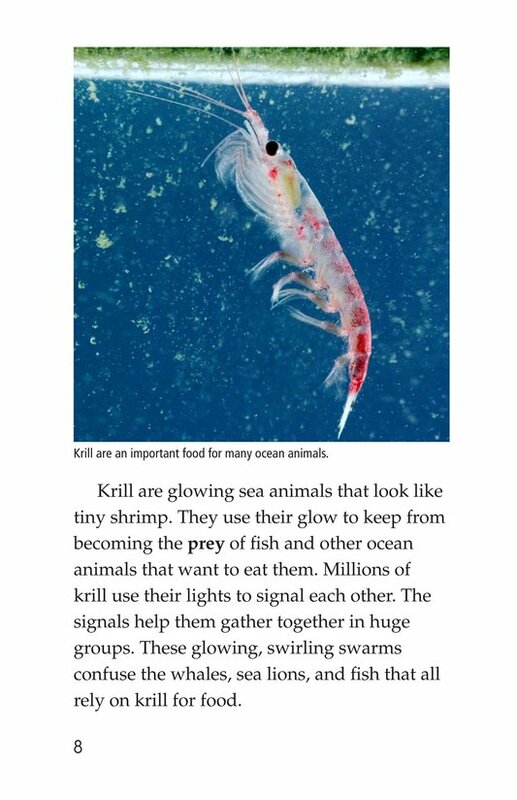 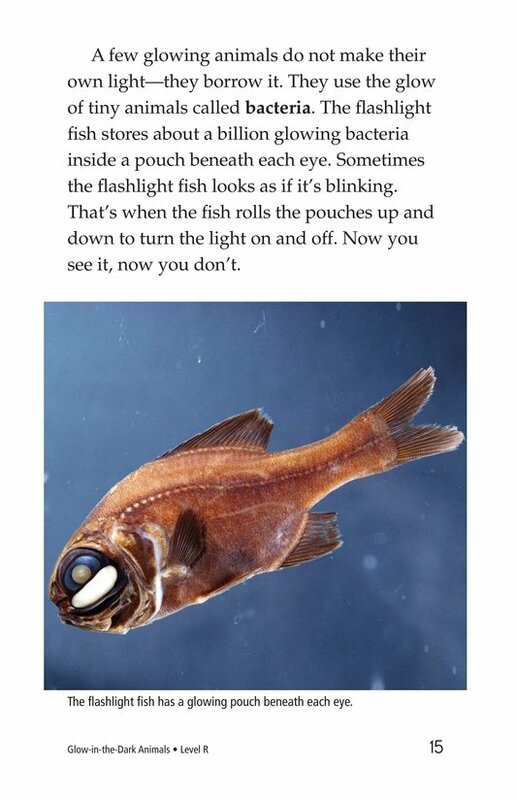 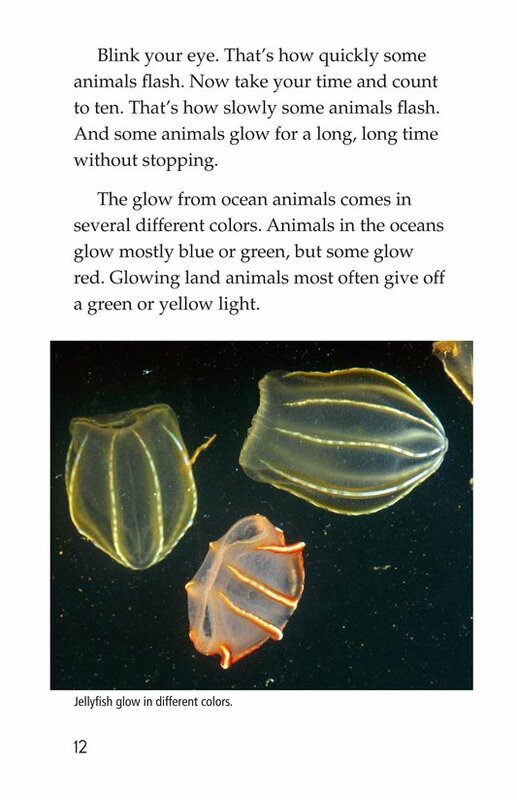 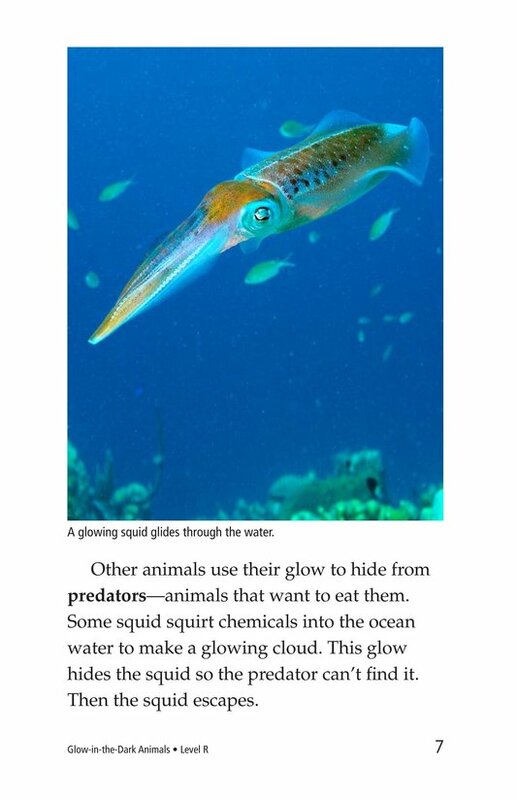 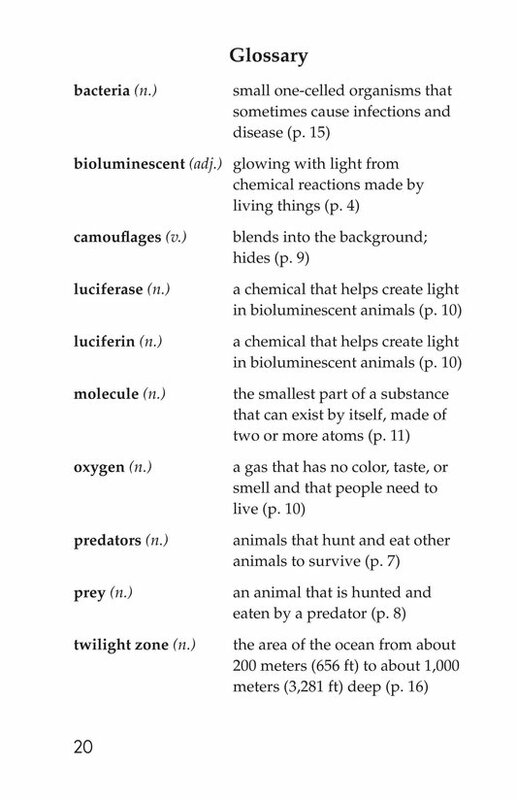 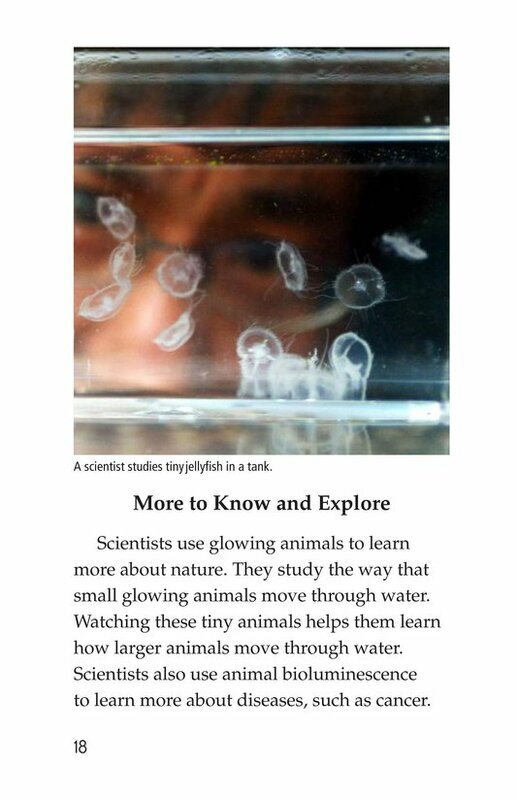 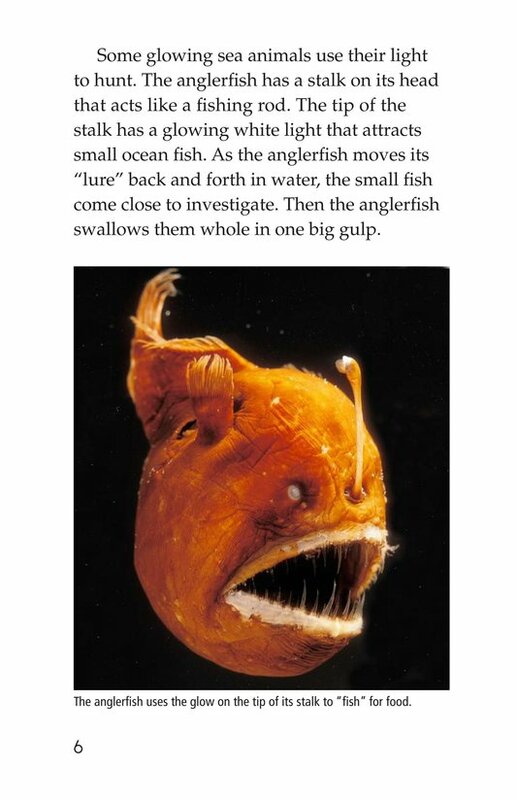 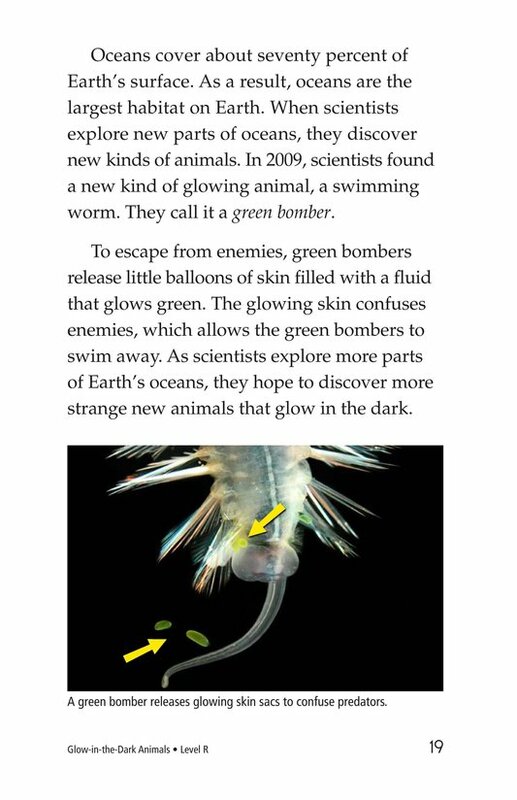 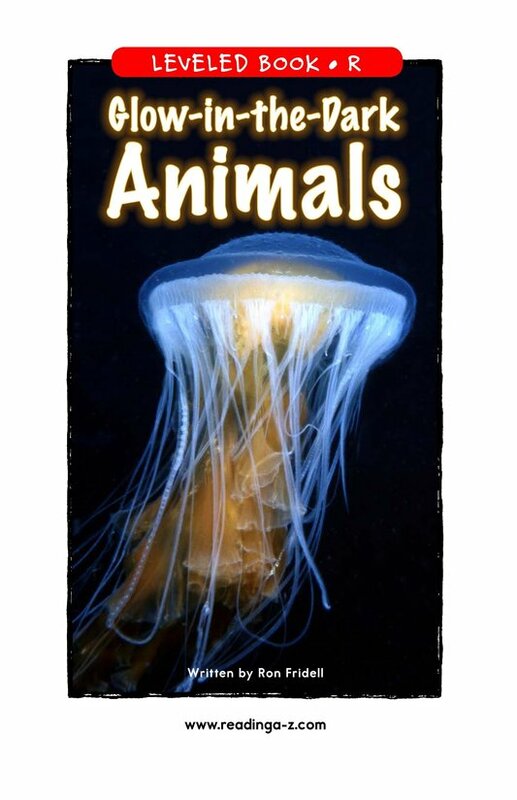 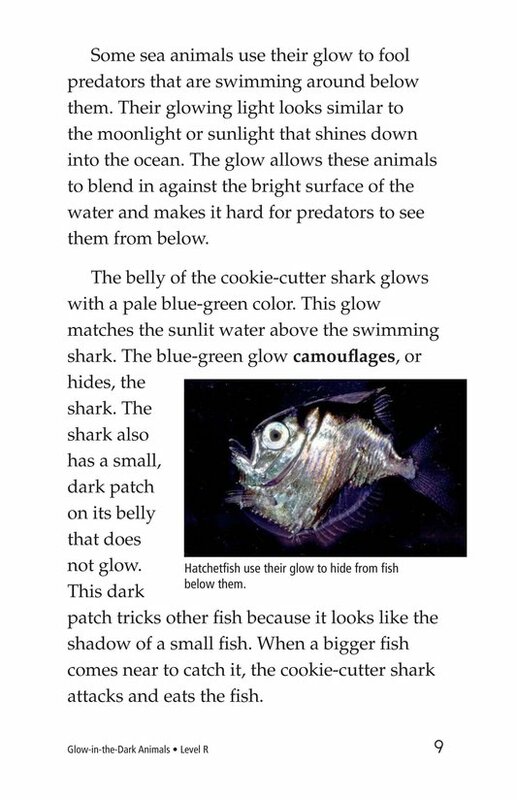 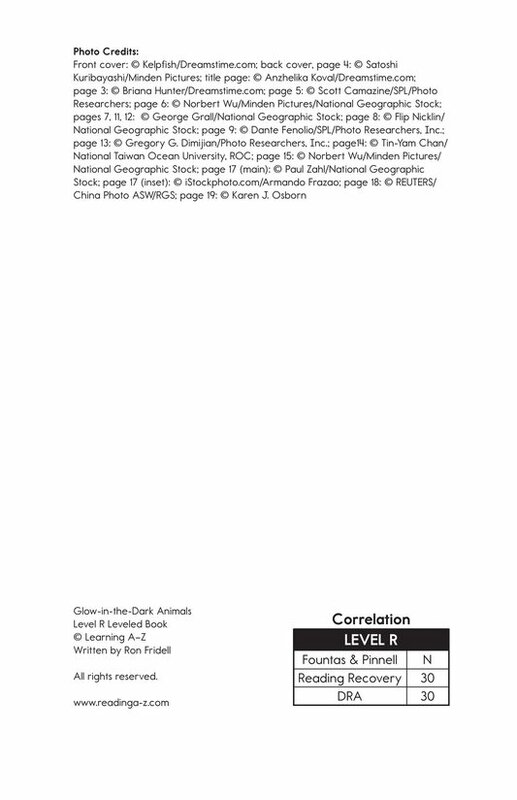 This informational text describes many animals that glow in the dark, from fireflies to krill to cookie-cutter sharks. 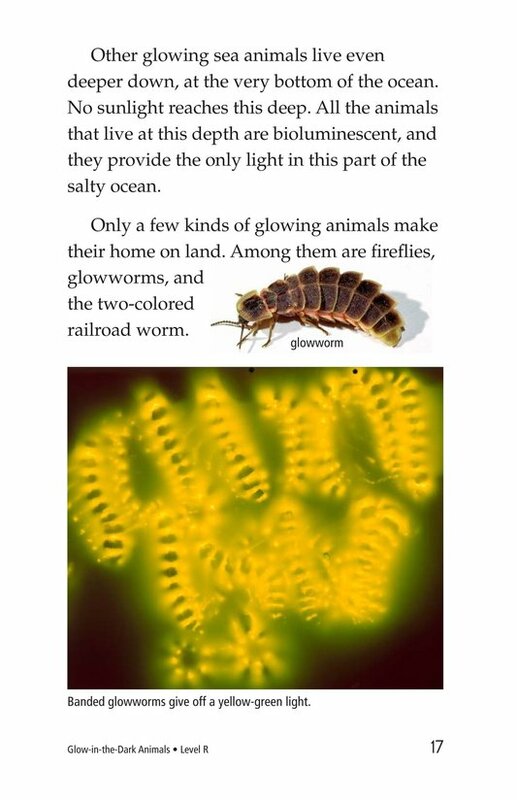 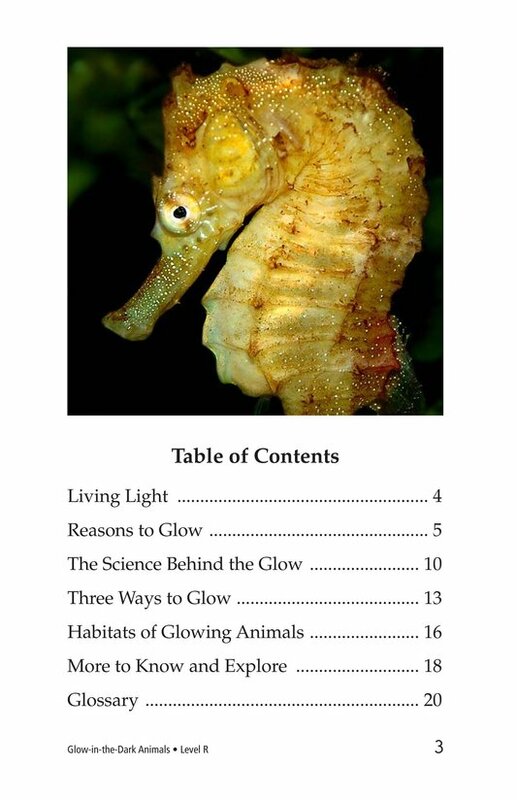 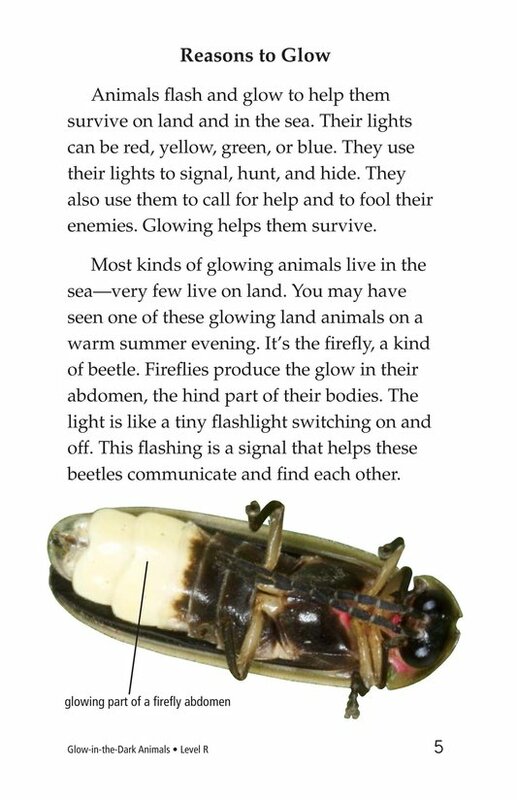 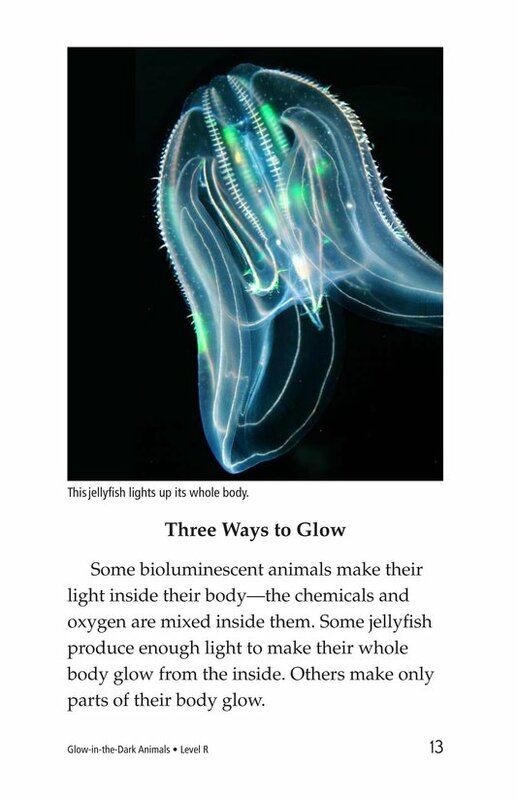 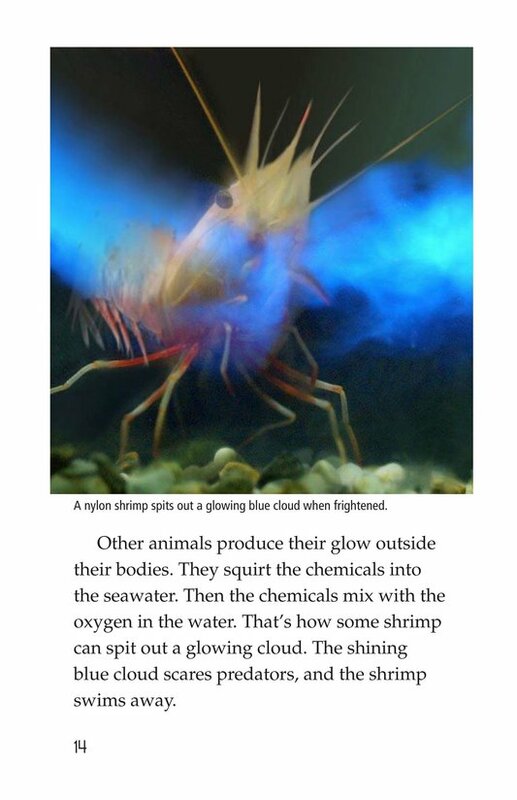 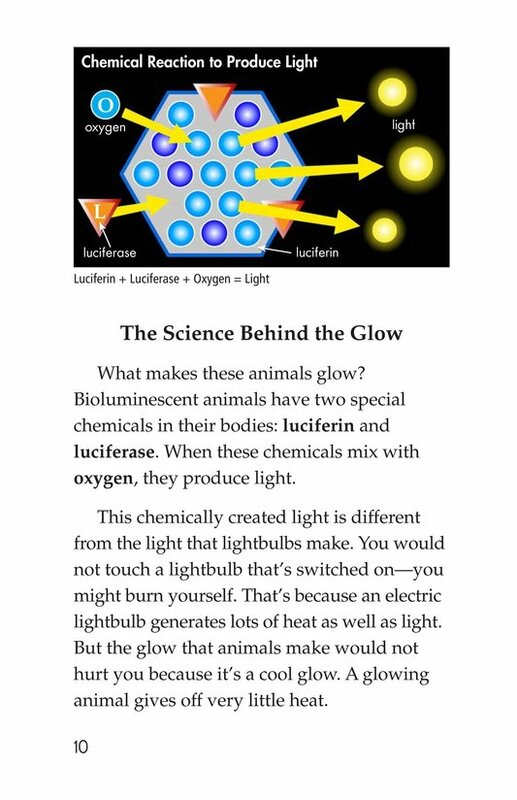 The author explains the three different ways an animal glows, as well as the many different reasons that animals glow. 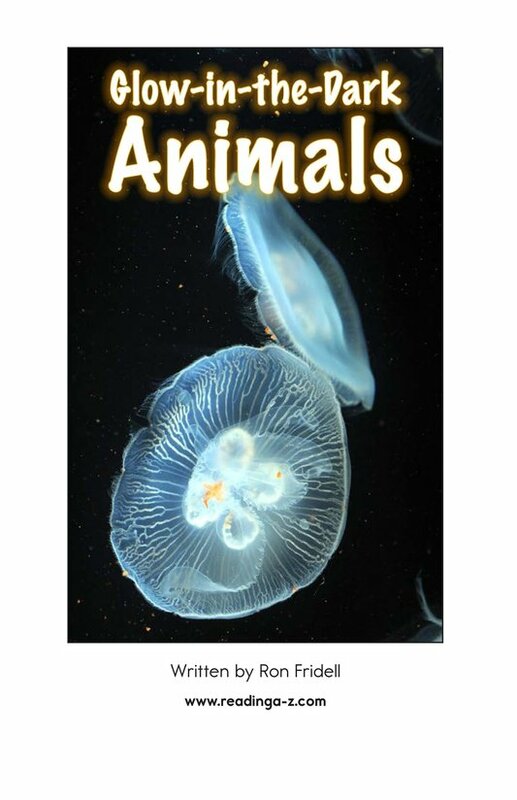 Scientific information about habitats and current research is highlighted.